Background/Purpose: Peficitinib (ASP015K), a novel oral JAK inhibitor, demonstrated efficacy as once-daily monotherapy in patients with moderate-to-severe RA in a phase 2b study (NCT01649999)1. We report phase 3 efficacy and safety data for peficitinib–methotrexate (MTX) combination in patients with RA who had an inadequate response to MTX (NCT02305849). Methods: This multicenter, randomized, double-blind, parallel-group, placebo (PBO)-controlled study was conducted in Japan. Patients had RA diagnosed within the past 10 years (1987 ACR or 2010 ACR/EULAR criteria), active disease (≥6 tender and painful joints and ≥6 swollen joints, using 68 and 66-joint assessment respectively; CRP ≥1.0 mg/dL; bone erosion; and ACPA or RF positivity) and inadequate response to MTX (administered for ≥90 days; ≥8 mg/week for ≥28 days prior to baseline). Patients were randomized 1:1:1 to 52-week MTX plus PBO, peficitinib 100 mg/day or peficitinib 150 mg/day. At week 12, inadequate responders in the PBO group (<20% improvement from baseline in tender and swollen joint counts) were switched (under blinded conditions) to peficitinib 100/150 mg until end of treatment. Remaining patients in the PBO group were switched (under blinded conditions) to peficitinib at week 28. Concomitant stable MTX dose (≤16 mg/week) was mandatory. Primary efficacy variables were ACR20 response rate at week 12/early termination (ET) and change from baseline in modified Total Sharp score (mTSS) at week 28/ET. Results: 519 patients were treated: PBO (n=170), peficitinib 100 mg (n=175) and peficitinib 150 mg (n=174). At week 12, 75 PBO-treated patients were switched to peficitinib 100 mg (n=37) and 150 mg (n=38) due to inadequate response. At week 12/ET, peficitinib showed superior efficacy vs PBO with respect to symptoms and inflammatory markers (Table 1). At weeks 28 and 52, peficitinib significantly reduced the mean mTSS change from baseline vs PBO (Table 1). Week 0–12 safety results were similar for PBO and peficitinib (Table 2). For the overall study period, incidence rate of serious infections per 100 patient-years was higher with peficitinib 100 mg/150 mg than PBO (Table 2). Conclusion: In patients with RA who had an inadequate response to MTX, peficitinib 100 mg/day and 150 mg/day demonstrated significant superiority vs PBO in reducing RA symptoms and suppressing joint destruction, according to primary efficacy variables (ACR response and change in mTSS). Peficitinib 100 mg and 150 mg showed acceptable safety and tolerability, with no new safety signals compared with other JAK inhibitors. Disclosure: T. Takeuchi, Astellas Pharma, Inc., 2, 5, 9; Y. Tanaka, Astellas Pharma, Inc., 2, 5, 9; S. Tanaka, Astellas Pharma, Inc., 2, 5, 9; A. Kawakami, Astellas Pharma, Inc., 2, 5, 8, 9; M. Iwasaki, Astellas Pharma, Inc., 9; M. Rokuda, Astellas Pharma, Inc., 3, 9; H. Izutsu, Astellas Pharma, Inc., 3, 9; S. Ushijima, Astellas Pharma, Inc., 3, 9; Y. Kaneko, Astellas Pharma, Inc., 3, 9; T. Shiomi, Astellas Pharma, Inc., 3, 9; E. Yamada, Astellas Pharma, Inc., 3, 9. Takeuchi T, Tanaka Y, Tanaka S, Kawakami A, Iwasaki M, Rokuda M, Izutsu H, Ushijima S, Kaneko Y, Shiomi T, Yamada E. Efficacy and Safety of the Novel Oral Janus Kinase (JAK) Inhibitor, Peficitinib (ASP015K), in a Phase 3, Double-Blind, Placebo-Controlled, Randomized Study of Patients with RA Who Had an Inadequate Response to Methotrexate [abstract]. Arthritis Rheumatol. 2018; 70 (suppl 10). 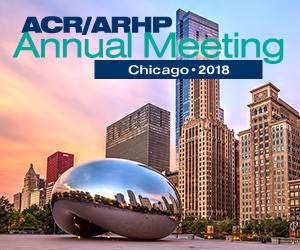 https://acrabstracts.org/abstract/efficacy-and-safety-of-the-novel-oral-janus-kinase-jak-inhibitor-peficitinib-asp015k-in-a-phase-3-double-blind-placebo-controlled-randomized-study-of-patients-with-ra-who-had-an-inadequate-re-2/. Accessed April 19, 2019.